Using the same ICEpower® technology as our monoblocks, our multi-channel series amplifiers offer seven different configurations to fit any application. For those who need big power throughout their system, there’s 500 watts per channel available in configurations in five or seven channels. All multi-channel amps offer a unique high-pass filter on the front two channels, effectively separating frequencies below 80Hz from the signal path where a subwoofer can be more affective. In a home theater application this allows your main 2 channel speakers to focus on mid-high frequency reproduction. All MC are available in black or silver, have an independent FET input buffer for each channel, and 12V DC trigger input and outputs. Gold plated binding posts and RCA/XLR inputs are standard features on these remarkable amplifiers. Note: Due to increased power requirements, the 7 channel configurations have dual power IEC inlets. Under the Select Options dropdown, you can choose to upgrade the internal wiring and binding posts of your MC! We replace our usual OFC internal wiring with premium Kimber TCX wire, a 14 ga. multi-gauge/multi-strand OFC wire for improved transparency and sound. 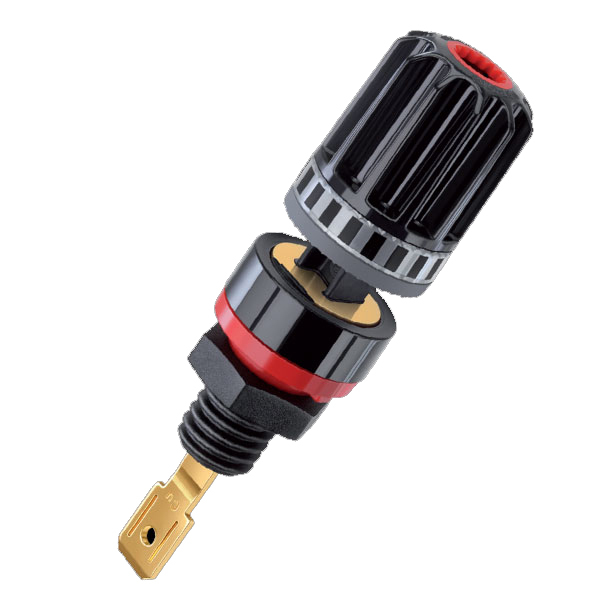 We also replace our normal binding posts with high-end, German-made WBT nextgen® binding posts for a better fit and connection. Consider this upgrade to maximize the performance of your MC. Select how many channels and what power you would like. If you wish to upgrade binding posts and wiring, select the number of channels you wish to upgrade. 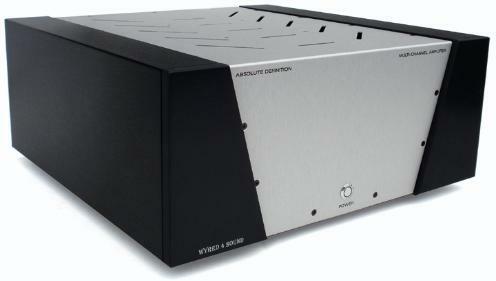 ...it's hard to imagine any amplifier performing better at less than 3 times the price. ... a product that combines the highest level of sound reproduction with an amazing value component has clearly been met, and then some.